After my last post where I was reflecting on my favourite purchases of A/W 2015, I decided to have a good look at my Instagram feed to check out the items I've worn again and again. It's so interesting to have this kind of online style diary to refer to, as you can easily see the pieces that you are bringing out time after time. Throughout January (maybe beyond?) I'm going to check over those things that didn't make the favourites list but that have ended up being my go-to pieces. This item jumped right out at me as I've posted it 6 times (I've worn it more but just haven't always photographed it) since I got it back in October. This wasn't even a purchase, it was something I won in an Instagram competition, but it's something that I really cherish. The sweater was from Hero in Stockbridge, it looks as though it is sold out there but it's Donna Ida and you can still purchase it here. This sweater would normally be right out of my price range but it really has made me think about the pay per wear ideology. Let's say I've worn it on average once every 2 weeks for the past 12 weeks or so. Then factor in that I'm likely to wear it that many more times over the next couple of months until Spring comes along..... suddenly that larger price tag just doesn't seem so scary! Question is can I change my ways and start investment buying or am I always going to be in the cheap & cheerful, fast fashion camp? As I'm a Libran I think I need to strike a balance but I'm certainly going to try and put this way of thinking into practice in 2016. I think you'll agree it's a versatile piece if ever there was one! 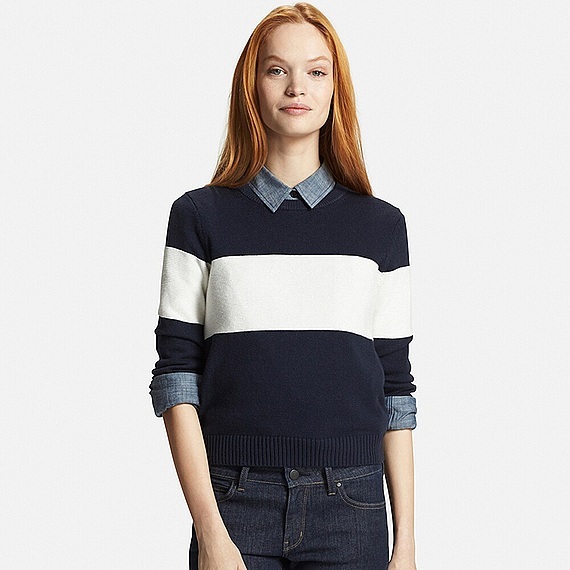 If anyone out there is looking for a more reasonable alternative to the Donna Ida sweater I stumbled across this doppleganger from Uniqlo, which is a lot more purse friendly. It does come in other colourways too. Just a couple of outfits to share.....of course the aforementioned sweater was my go-to item for the first day back on the school run.....it is such a wardrobe no-brainer! I think I am finally getting to grips with this wardrobe overhaul thing! I need to just need to keep an eye on what I'm buying and check that it is fulfilling it's potential amongst my favourite things .....surely that's a recipe for success and wardrobe perfection in 2016?! I bloomin' well hope so! I love your sweater Michelle, and you have just to proved how much you love it too, by the amount of times you have worn it and I'm sure feel special in it too! I know for most of us it's not always possible to buy high end pieces, but a few really good pieces in your wardrobe really does give it the edge...And with some really good sales still on, maybe now is a good time to make those investment purchases if you can?! Having said all that I still love my cheapie high street buys too...I guess best I like a mash-up of it all! I think you've worn the jumper so much because it's gorgeous and it's a delight to wear cashmere- yes? My most worn jumpers are my cashmere ones - I've stacked up quite a collection now and yes, it's worth it. Great jumper Michelle & the colours & style fit in perfectly with your wardrobe. 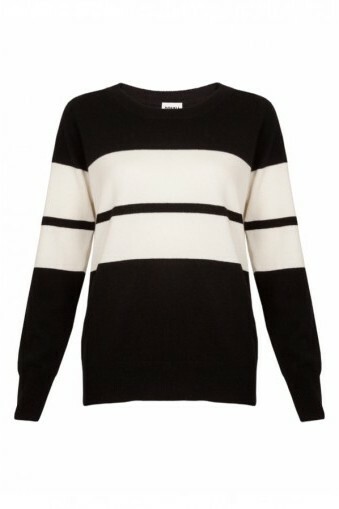 Oh that Uniqlo dupe is going right on the wishlist! I went to Hero in Stockbridge today for the first time. Sooo many lovely things! My idea of occasion wear! my winter wardrobe unsung heroes!